FORAN - A pellet supplement supplying vitamins, minerals and amino acids - 4 or 10 kg. By buying this product you can collect up to 16 loyalty points. Your cart will total 16 loyalty points that can be converted into a voucher of 4,80 €. Suitable for all horses including young stock. 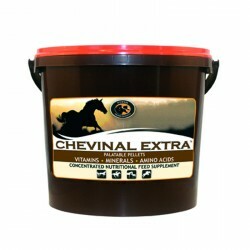 CHEVINAL EXTRA PELLETS is ideal for boosting nutrient intake in performance horses. Horses in competition or training have elevated nutrient requirements and will benefit from a correctly balanced diet and a boost of vitamins and minerals. Recovery is equally as important and additional nutrients will help with muscle recovery, rebuilding of condition and maintaining overall immune function. CHEVINAL EXTRA PELLETS is a flexible feeding suitable for any horse including young horses. Small pellets can be used in varying amounts to meet the needs of growth or workload. Blended with soya and maize, the pellets are appetizing ! Easy to use with any diet. 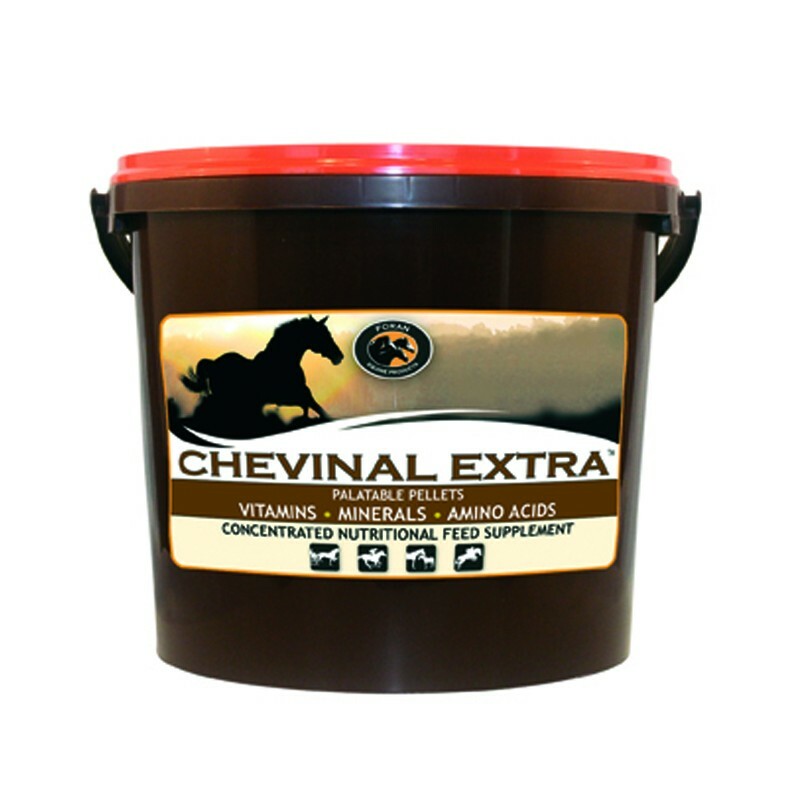 Easily used to boost an existing balanced diet or top up requirements at times of reduced dietary intake CHEVINAL EXTRA PELLETS can be used to balance out a diet of forage and/or grains.